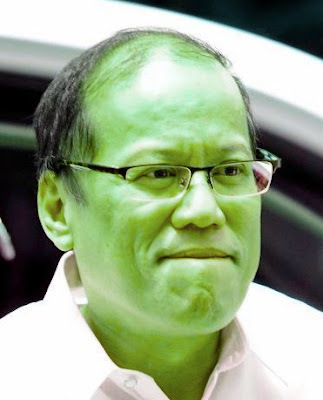 Comparing Noynoy Aquino and Margaret Thatcher, of course, can be thought of as similar to comparing chalk and cheese. In Japanese they term it “undei no sa”, which literally refers to the world of difference between clouds (un) and mud (dei). Conviction and stubbornness can be often thought of as two sides of the same coin. What, then, is the fine line that separates them? We don’t have to think very hard about who’s gotten them, and who hasn't. Leftist Philippine rebels are raking in millions of dollars extorting money from candidates in next month's elections and will likely use this to buy guns, a senior military official said on Sunday. Each candidate illegally pays between 50,000 and five million pesos ($1,210-121,000) to buy protection from the New People's Army (NPA), said Major-General Jose Mabanta, commander of one of the country's army divisions. 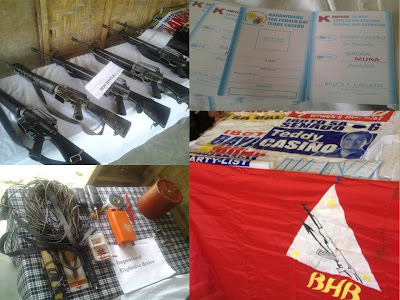 Assault rifles, IEDs, campaign materials of BAYAN MUNA party list and senatorial candidate Teddy A. Casiño recovered by 66th IB after an encounter with elements of NPA in Nabunturan, COMVAL: Hey! what's up Comrade?! Jimenez confessed his voter's registration has been deactivated because of his failure to vote in the last two elections. He said his work with the poll body prevented him from going to his voting precinct. Jimenez said he has not been able to reactivate his registration, making him ineligible to participate in the local absentee voting, which is being offered by the Comelec for its employees, other government employees and military and police who will be working on Election Day. Above is an excerpt from an ABS-CBN New report. 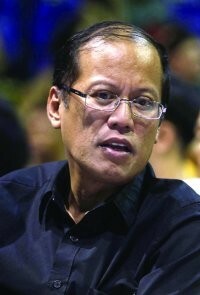 Has the Inquirer.net apologised satisfactorily? Original photo by Martin San Diego featured in The Lasallian (source: Showbiz Government). After watching this latest ad from Dove, think about how a typical Filipino/Filipina views himself/herself versus how others perceive him/her to be. 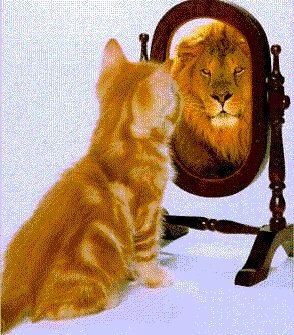 Think as well about the importance that Filipino society places on others' perception of an individual against the individual's perception of himself/herself. You may or may not be surprised about what comes out, but it should make you think. 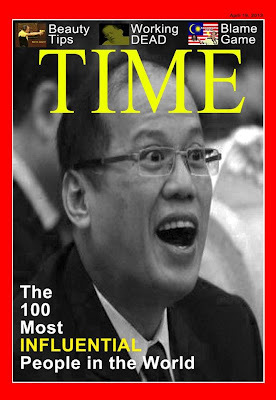 Image of TIME Magazine cover parody of Philippine President Benigno "BS" Aquino III featured as one of 100 Most Influential People in the World in 2013 mistakenly featured by the Inquirer.net on its 20th April 2013 edition.